Your source for mailboxes, bike racks and other common area accessories. We install and service Florence mailboxes including 4C, Cluster Box and other multi-family products. 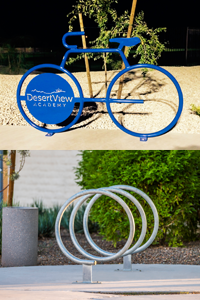 Let us help you pick out and install the perfect DERO bike rack for your location. Exterior Systems is a full service company that started supplying and installing mailboxes for multi-family and commercial use in 1979. 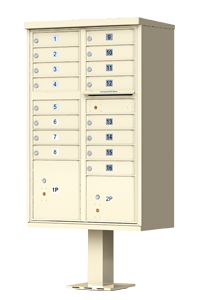 We a proud to sell, install and service mailboxes from Florence Corporation, the leader in mailbox and storage solutions since 1934. At Exterior Systems, we only provide the best quality products including bike rack installations from Dero (a PlayCore brand company). Copyright © 2015 Exterior Systems. All Right Reserved.